Life sciences materials provider Avantor is highlighting its NuSil biocompatible silicone adhesives and other technologies at this year’s MD&M West. The company is also highlighting other biomaterial solutions including lubricious silicones and in situ cure technology. The NuSil exhibit is in Booth 2305 with information on high-purity silicone adhesives. Technology experts are available to share the latest developments and help device manufacturers select the right silicone adhesives for their specific applications. NuSil adhesives include one- and two-part room temperature (RTV) and high temperature vulcanising (HTV) formulations. A range of NuSil primers is also available to increase adhesion to various substrates. 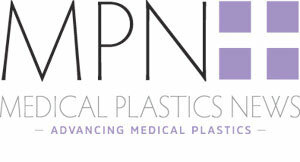 MD&M West 2019 takes place until 7 February at Anaheim Convention Center, Anaheim, California.